Pakistan is seeking to conclude Free Trade Agreement (FTA) with Turkey by June 2019 that offers the lowest tariff on all tariff lines extended by Turkey to its other trading partners, under the Pak-Turkey Strategic Economic Framework (SEF) Plan of Action. Sources said that Prime Minister Imran Khan approved the proposed draft Plan of Action presented to him by the Economic Affairs Division and requested the relevant authorities to begin negotiations with Turkey on Pakistan’s draft, Pakistan’s response on the Turkish draft Plan of Action and Joint Plan of Action proposed by Pakistan. Pakistan and Turkey agreed to formalize a Pak-Turk Strategic Economic Framework (SEF) during Prime Minister Imran Khan’s official visit to Turkey in January 2019 and, subsequently, committees were constituted to finalize the draft SEF and Plan of Action for implementation. Draft SEF, after the approval of the prime minister was sent to Turkey on 20 February 2019 and a Plan of Action was received from Turkey on 6 March 2019. Subsequently, on March 19-21, the EAD held consultative meetings with 45 ministries/organisations. The draft was approved by the finance minister on April 4, 2019 before being presented to the prime minister for approval. The proposed areas of cooperation include trade, textile, defence production, tourism and culture, investment in industrial cooperation, auto industry, banking and finance, agriculture etc. The proposed cooperation in the SEF action plan by Pakistani side in trade and textile include: (i) grant of GSP Plus status to Pakistan by Turkey, being member of EU Customs Union; (ii) conclusion of FTA by June 2019 on treatment basis of offering lowest tariff on all tariff lines which has been given to any other trading partner; (iii) simplification of customs procedure, electronic data exchange and technical support to Pakistan Customs; (iv) elimination of non-tariff barriers, strengthening cooperation on technical barriers to trade; and (v) early conclusion of Mutual Recognition Agreement (MRA). 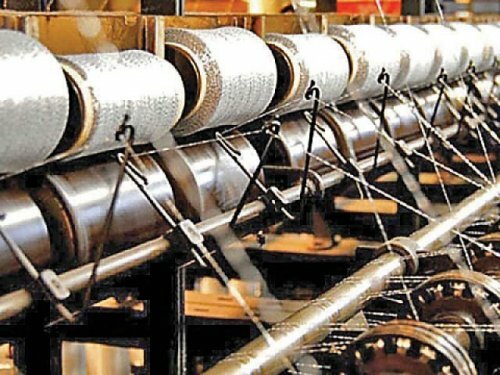 The cooperation in trade and textile further includes; (i) establishment of Pak-Turk Joint Business Council; (ii) development of textile infrastructure including Garment cities in Lahore, Faisalabad and Karachi; (iii) transfer of technology for upgradation of textile industry-ginning, weaving, dyeing and finishing; (iv) joint ventures between textile houses of two countries for value added products for export to third country; (v) technical assistance for development of Pakistan Textile Technology Park; and (vi) technical cooperation for improvement of intellectual property rights in Pakistan-training, legal and technical regime. The proposed investment and industrial cooperation under the SEF includes signing of Memorandum of Understanding (MoU) between Board of Investment (BoI) and Turkish Investment Authority for cooperation on facilitation and exchange of information on investment as well as joint ventures by Turkish companies with Pakistani counterparts in areas of auto industry, Special Economic Zones (SEZs), food processing & value addition, tourism and hospitality, housing and construction, diesel/electric locomotives and wagons and textile machinery and textile value addition as well as technical cooperation for development, regulation and operation of SEZs and technical support for SMEs policy regime. The proposed cooperation in banking & finance includes provision of credit-line (US$350 million) for import of Turkish goods and financing projects, currency swap agreement between central banks of two countries to promote trade and investment, establishment of bank branches, and Turkish technical cooperation in establishment of credit guarantee fund for SMEs as well as in public debt management and treasury management and anti money laundering counter terrorism financing (AML/CFT) regime.